What Is a Reliability Professional? 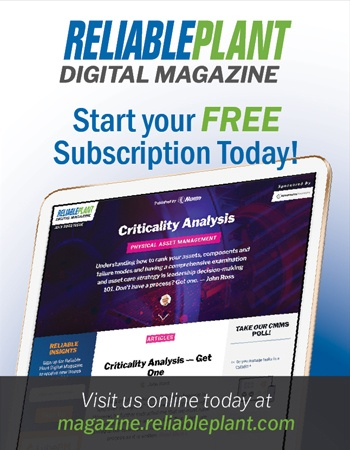 An ideal reliability professional has a variety of attributes: a lifetime of real-world experience, a master or journeyman’s license, trade certifications, professional licenses, and a professional reputation for success. The work experiences that enable them to develop and lead a reliability team include stints as a combination of the following: maintenance person, planner, supervisor, reliability engineer, and maintenance or reliability manager, depending on the level of their position. In addition to this level of practical real-world experience, they possess an advanced education with finance, development, change, and leadership concentrations. Now I am not equating a reliability professional with a Navy SEAL, but there are similarities in the philosophy. A reliability professional does not negotiate; they are not fair, they take over and win. In the case of reliability, this unfolds as a dogged effort to transform an organization from production-centric to productivity-centric. Production cannot and will not happen without reliability. It takes a hard-charging reliability professional to move this needle. These professionals operate and dwell in the space between reality and fantasy. The reality is that most organizations do not value maintenance but want reliability. When a true reliability professional leads an organization down the path to reliability, some might think it is fantasy, but it is only a fantasy if the reliability leaders are engineers or consultants who are not qualified by experience to lead the efforts. The first step in finding a real-world true reliability leader is to write a good job description. Specify the qualifications the organization is looking for. I have reviewed thousands of job offerings from all industries searching for a Maintenance Manager. These offerings list having a mechanical or electrical engineering degree as their first qualification. This tells me that the organization does not understand or value reliability and does not have a robust reliability approach. They feel that a four-year degree qualifies an individual for the position when the reality is that it qualifies them for nothing. The first and most important qualification for any reliability leader is to have, especially the Reliability Manager, is a journeyman-level skilled trade. I have found that an electrical or mechanical emphasis is relevant here. 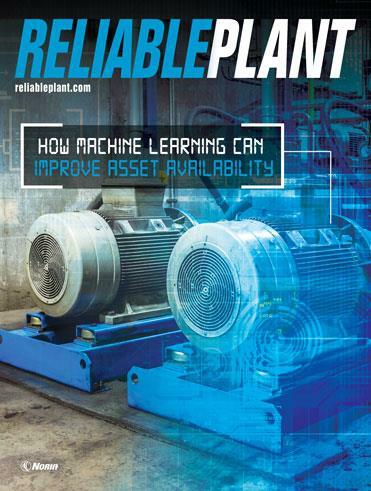 It is absolutely a requirement for a reliability leader to have done maintenance. Without this key experience, they will never truly understand how to lead the team. To identify a reliability professional all you must do is ask them “how exactly do you go from run-to-failure to proactive reliability?” It is important that the senior leader conducting the interview be a qualified reliability professional who will know if the answers are right. Prospective reliability professionals should be able to explain the detailed steps necessary to achieve the results. They can give examples of hands-on, real-world experience doing these efforts, not regurgitate something they read or a course they took. They can assess an organization’s level of reliability leadership by assessing if they have a mature maintenance and reliability program. Does their CMMS work? Is their maintenance, repairs and operations (MRO) functional? 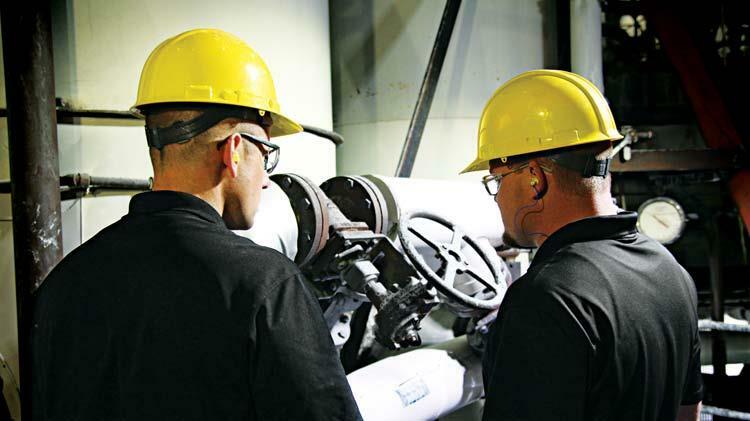 Do they have a work management process in place and do they have a reliability-focused proactive approach (programs addressing lubrication, contamination, and improper installation)? Companies who entrust their new efforts to the same individuals, without the qualifications, repeat the same failed approaches over and over. The fact is, despite a lot of excuses, if the tenured staff had the necessary reliability skills, the organization would have reliable operations. When I hear company leaders say that “it is not necessary to have done maintenance to lead it,” I know they do not understand or value maintenance and reliability. No one can lead maintenance and reliability unless they have done it. You do not gain a competitive advantage by copying others. True leaders create and do not need to copy. Each organization is its own entity, and you cannot copy your way to success. Reliability leadership needs people who can create on their feet using years of experience and education. The respect of the reliability personnel is necessary, and that comes from shared experience of doing the jobs you are asking them to do. Reliability is not a theory, but the result of having held each maintenance and reliability position and the ability to train and develop the personnel need to drive success. The organization of the reliability department is critical to its success. The most important aspect of this organization is that the Maintenance or Reliability Manager must report directly to the General/Plant Manager. Any other iteration does not provide a strong enough structure for an organization to truly realize the competitive advantage that a robust reliability department can provide. The structure of the department is important to a strong reliability organization. The minimum structure needs to include three branches: planning, execution, and reliability. There is more to this structure than just having it. It is imperative that the branches focus on their responsibility. If the department cannot focus the branches to concentrate on their duties, the results will be mediocre. The current trend in business is for everyone to do everything and it is this failed approach that leads to nothing being accomplished. If everyone is responsible for the results, then on one is. Are leaders in reliability a good idea? This is like Mahatma Gandhi’s answer when asked what he thought of Western civilization. He replied that he felt it was a good idea. This is the same thought I have when considering management in reliability. In my experience, reliability leaders are regularly promoted because they are good technicians. I often refer to this as the wave of a “magic wand.” The ability to turn a technician into a leader in this manner is beyond me. How can you transform a person who has never had a leadership job into a leader? The senior managers who make these decisions believe that it can be done without a job description, coaching, or development. This transformation takes place at quitting time on Friday and the person returns on Monday a leader. This “magic wand” must be the greatest tool available on the market. The next part of reliability leadership is recognizing the role of a leader. A lot of people think that the role of a leader is to tell others what to do while others believe it is to motivate and encourage people. I think this is misguided. The role of a reliability leader is to simply get others to follow them. As I said earlier in this book, a title does not make you a leader – having followers does. Following is a voluntary act so you must inspire people to want to follow. You cannot lead from an office; leading is accomplished by encouragement, motivation, group discussion, and much more with a goal of accomplishing the company’s objectives. We will discuss what is required to develop these transformation abilities in people. To ensure the leader is aligned with the company objectives, these objectives must be well defined. How do reliability leaders get the reliability team to follow them? This is an art that few master, but can be improved upon. In my experience, a journeyman-skilled reliability team will only follow a leader with journeyman-level skills. Again, some of you might be thinking that your team follows you and you do not have a skilled trades background. This just tells me you do not have a team comprised of journeymen. Leaders must set up roles and responsibilities for planners and others involved in the planning and scheduling process to make sure the process is followed. These people need to work with operations, engineering, and stores to agree upon work priorities, schedule cutoff times, and identify critical equipment, spares, and much more. Your chance of getting people to follow you drastically increases if the enablers are instituted plant wide. A leader must realize that people do what they see being done, not what they are told to do. It is critical to “walk the walk” by sticking to your plans and following up on what you say. To go back to what I said earlier about what constitutes a reliability professional, to “walk the walk” you must have done the work. The “magic wand” will never replace hands-on experience and the necessary skills to deliver results through real leadership. If you are a leader that shows up to meetings late, you will find it difficult to instill good scheduling practices in your team. Leaders should not expect quality work if they are constantly asking for results in last-minute and unreasonable time frames. A leader should not expect quality results if their team members are not properly trained or lack the financial resources to effect quality repair, or they are not given enough time to complete the tasks, and no standards or expectations have been communicated. A true reliability leader makes sure that all improvements have substance to them by ensuring that there is a solid plan with costs and benefits considered before rolling it out to the organization. All too often plants sign up for a project-of-the-month, only to replace it with a new project every few months. I was not sure what he meant by his statement. He further explained, “every time we start improvement efforts that are announced to last forever, the average life of a new initiative here is about six weeks. Therefore, forever here means six weeks.” Despite the fact that he was partly joking, he was exactly right when it came to the plant’s history. I remember someone once said to me, “There is a small gap between inexperience and knowledge. There is an enormous canyon, however, between knowing and doing.” This resonated with me because it is exactly the same difference between a consultant and a reliability professional. A consultant is all about knowing the theory and a reliability professional is all about knowing how to do it. It applies here because a reliability professional knows how to build the bridge over this canyon and get lasting results because they have done it. As a reliability professional, you know what to do. You know why you should do it. And more importantly, you know how to do it. Most people don’t change, either as individuals or in the way they run a reliability program. The problem is that most improvement efforts assume that all you need to do is explain to the team that things will be better and then tell them to do it. Does that work in real life? For example, people are told, “Smoking and excessive drinking are really bad for you.” “Oh, well then, everyone will quit right away.” If this were that easy, we would have no smokers, alcoholics, drug addicts, over-drafted credit cards or gamblers. I have spent my life developing people in scheduling, planning, root cause analysis, proactive reliability, and storeroom management. heir expectation is that the development or consulting is the permanent fix to their issues. They believe that by training people to perform root cause analysis, they will solve all the plant’s woes. By consulting on reliability, their team will suddenly be able to lead the implementation of a reliability strategy. Training is the number one reason development fails. If you plan to train your way to reliability, you should save the money. All you will be doing is paying for the next flavor of the month. Awareness training is one of the first steps, but you obviously need to remember what the desired end results are. Execution is the key, not knowledge itself. True reliability professionals know how to execute where others, sadly the growing majority, do not have a clue. Every day organizations are setting up engineers and production employees for failure by placing them in leadership positions in reliability. Leadership in these areas is not something you can learn in a book, classroom, or seminar. It requires years of hands-on experience and development with “boots on the ground.” Most organizations are looking for a quick fix and if that is the objective you are better off saving your money. You cannot copy or cheat your way to reliability; you must do the work. Do you believe there should be a different strategy to motivate your reliability team than the one you use to motivate other plant personnel? My answer is no. A good thing to remember is that people are people, whether they have funny nicknames taped to their hats, are salaried, or union members. The main question at a lot of plants is how to motivate people. A cheap hat or pizza lunch has never, by itself, inspired anyone to do a better job. The top prize in un-motivating motivation goes to an organization a friend of mine worked for. During Christmas time, all the employees were given Lifesavers candy with a note saying “you are a lifesaver.” How is that motivation? The organization was a hospital, but still, it did not achieve the results it intended. How do leaders motivate their people? The first thing you must realize is that there are a few people who can inspire people en masse through a speech. With the exceptions of Ronald Reagan, Winston Churchill, Mahatma Gandhi, and Nelson Mandela, leaders need to rely on motivating their employees one-on-one. True leaders need to take time to listen, challenge approaches, and discuss ideas with each direct report. For most people, pride in their jobs is an incentive. Leaders should provide honest feedback to their employees using skillful diplomacy. For the recognition to have merit, the leader must have the employee’s respect. To accomplish this the leader needs to have earned it. Enjoyed This Article? Get the Book. Without qualified leaders, there can be no true reliability, and as such, companies are losing out on the one real competitive advantage available to them today. Beyond the "what" and "why" of reliability found in other resources, this book offers the true "how to" of reliability. Get your copy of "The Death of Reliability: Is it Too Late to Resurrect the Last, True Competitive Advantage?" Unlike most of the books written on this topic, "The Death of Reliability" is not the ravings of an engineer or consultant who is espousing theory and other information based on no hands-on, real-world experience. It's chock-full of practical wisdom you can apply immediately to your reliability program and your career.